There are massive alternatives available with app developers concerning an advanced programming language for web and mobile platforms. The choices are feasible for both, backend and front end developers. In the list of popular programming language, Go manages to remain in the Top 15 as per GitHub, whereas, the survey of Statista states that approximately 49.6% individuals are still using Node.js web development. Mentioned below are some essential characteristics of Node.js that makes it the best framework to work upon. Input and output is event-driven and allochronic: The Application programming interface of Node.js library is allochronic. In this case, a Node.js server doesn’t have to stand by for API to send back information. The server tends to proceed to the succeeding API, then with the help of a node.js, events of notification system the server acquires the answer from the preceding API, this is what makes Node.js a speedy framework. Individual thread work: Node.js works on an individual thread model along with event looping. Eliminates buffering: Node.js takes up relatively less time for processing uploading of sound and video files as it eliminates buffering of any sort of data. It just outputs the data into small proportions. License: MIT is the license under which Node.js is launched. 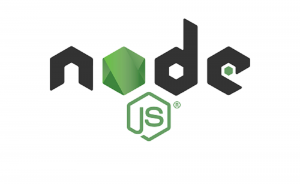 Open source: Node.js functions in an open source society which generates several premium modules to enhance its potentials. Extensible: For most developers, it is quite simple to extend applications in vertical and horizontal directions using Node.js. Simply by attaching extra nodes to the current system, it can be extended horizontally and by attaching additional resources to single nodes vertical extension can be performed. Dynamic API: Most of the developers struggle to work with a dynamic Application Programming Interface. Asynchronous Programming Model: In order to develop an extendible application, it is essential to validate the asynchronous programming model which offers developers a tough time. Go refers to an open source programming language by with systematic and authentic software can be easily developed through a Go web development company. Concurrency: Go is well-known to offer excellent concurrency primitives which simplify its execution of concurrent mechanism. Clarity and uniformity: Go is an easy and clear language and was developed with an utterly minimalistic attitude. It has a standard library which includes most of the stuff like a web server. The Compiler: The compiler that Go is using is very speedy. It simply compiles huge files and programs within no time. The language is drafted in such a way that it can be simply coded without the requirement of any kind of tables for symbols. Go is statistically associated with implies that the assembler consists of a linking point in the final level which settles every library references. Pointers: Go strives to offer contemporary identical features of C in most of the facets and it is because of Go that pointers have seen a come-back. Most of the contemporary languages do not tend to offer pointers. However, experts’ opinion and support in settling most of the common problems and have a front role in functions like memory layout and for developing a new level mechanism equipment. Simple to learn: The syntax of Go resembles most of the other programming languages which makes it easy to learn and execute. Concurrency: Concurrency for Go web app services is quite simple and manageable being it an open source programming language. Underdeveloped: Developers may have to draft libraries themselves, as Go is still under development. Moreover, there isn’t much study material available to clarify doubts. No manual memory management: Manual memory management is essential and the absence of it results in overhead debris. 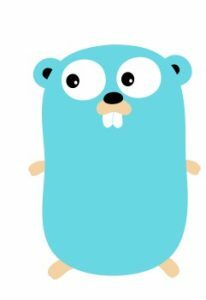 Straightforward: Straightforwardness of Go made it quite ostensible. Maturity: Go is mature and powerful while Node.js is mature but it has a dynamic API. Extensible: Go has fantastic execution on grounds of being extensible and concurrency while some claim that Node.js has some issues which make it hard to extend. And a company like Matellio can provide the best of both worlds. ← Cloud Solutions For Web App Development: How And Which One To Choose?